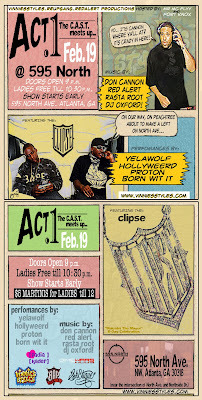 The Clipse will be performing this Thursday February 19th, 2009 at 595 North in ATL. Up & Coming ATL rap groups Proton and Hollyweerd will be on deck as well. I definitely want to check out this show. Tickets will be $10 at the door.